Sean Curtin, an assistant at Mendham Golf and Tennis Club, has been selected as the Assistant Spotlight for July. Curtin has competed in eight assistant events this season and finished second at Preakness Valley with a 1-under 69 last month. The 31-year-old is in his third season at Mendham and serves as a class B-8. Since becoming a member of the golf staff at Mendham, Curtin has developed the game of golfers and tennis players, learning new techniques on how to teach beginners and experienced players. “I do get the Monday off, so it gives me the opportunity to play,” he added. Curtin serves under the wing of Joe Kelly, PGA Head Professional at Mendham, who has helped him grow in his golf profession. Curtin added that the most rewarding part of his work is seeing how smooth club championships flow throughout the season. Our Q and A with Curtin details his goals as he works towards becoming a PGA Member and what he aspires to be as he heads down the road of this profession. Why did you want to choose to become a golf professional? I had grown up playing golf with my father since I was very young. After working at golf courses in high school and college, as well as going through the amateur, college golf and caddie gamut, it was all I had known. Were you an active amateur golfer? My amateur career is slightly more to highlight than my professional career. I was very active, especially from the ages of 18-22. I had developed from a junior golfer into a reasonably competitive collegiate golfer. At first, I had achieved more success in match play events at the Westchester and Met Amateurs. I eventually molded my play in such a way that suited stroke play more consistently, which resulted in two collegiate wins in multi-round tournaments. How did you and Joe Kelly first meet? Long story short: Joe and I aren’t sure. I had been involved in a couple of golf related trips with a long time mutual friend of ours, and we cannot figure which to be the first. I do remember playing golf with Joe at Seaview and that seems to be my oldest memory. I was still an amateur and this was before I began at Mendham. What’s the biggest different now that you have experience in your third year at Mendham? With more responsibility as my time has progressed at Mendham, there is a big difference. The clubs I had worked at before had different operations at its core. With two years of experience, I have a better understanding of what is expected on a daily basis, and more importantly, how to please the membership. With some staff turnover this year as well, I feel responsible for setting an example to the newer members of our staff. What has been the biggest lesson you learned in your first year at Mendham? My biggest lesson in my first year is to consistently bring a positive attitude. Throughout the season, it is easy to find yourself a little burnt out. If you let that slip too far into your mindset and attitude, it will not only affect your performance, but eat away at the quality of the product that you are providing to your members. This goes a long way, and people notice. On average, how many lessons do you give per week? I give about seven lessons per week. The biggest challenge, with which I have improved drastically, is structuring lessons in a way that makes it easier to close them and give your student a sense of what his or her next move should be, and when they should be coming back. Without confidently and clearly laying out a simple foundation, it is hard leave them leaving feeling as if they are on a journey to getting better. What do you enjoy doing outside of golf? I enjoy watching sports, playing cards, and exercising...sometimes. I try to visit my parents in New York from time to time, and if I can I make it to the beach once or twice in the summer months, it’s an accomplishment. I did get to make a cross country trip with a friend last December, which was something I always wanted to do. We did not make it past Las Vegas, though. What is your status working towards Class A PGA Membership and what have you learned in that process? I am currently in Level 1. I have learned more about the respect that should be given to those that have been elected more than anything. Working in this business and managing your time so that you can slowly work your way through the steps is much easier said than done. 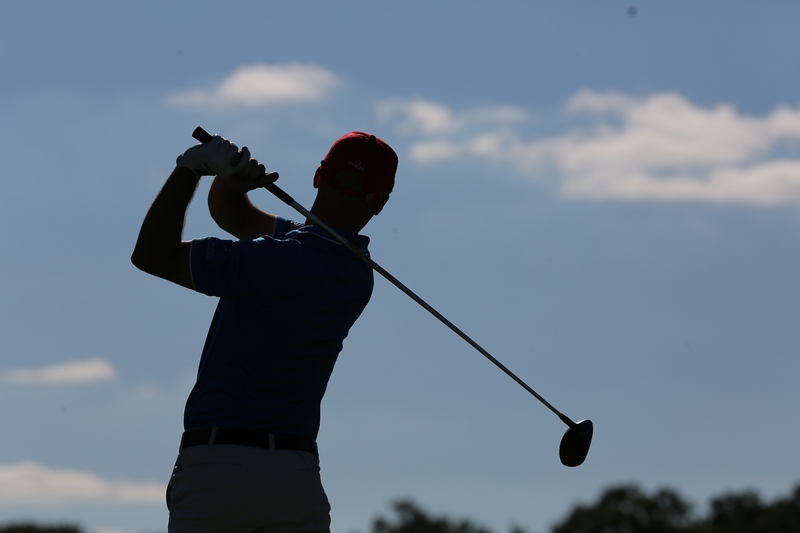 What type of golf professional are you leaning towards? I am unsure of what type of golf professional I am working toward. That idea evolves as time passes. I always imagined myself as more of a Director of Instruction, but the verdict is still out. Where do you hope to have accomplished in five years? Wherever I am, I hope I am happy, and that I have people around me that support what I am doing. In terms of being a golf professional, in five years I hope to be elected into the PGA, and have the privilege of working as an AP 1 or HP. Fortunately, people like Joe Kelly have been put into place in my life, so If I listen I should be in a good place.